Prayers of Praise and Thanksgiving: Jan prayed about our need to Praise our Creator God as we seek His Sabbath rest. She reminded us of our carelessness in not always appreciating the abundance of life’s riches and taking time to just “lay down our tools” and breathe as we give thanks for each new day and the stillness of winter. With hope we can remember that in the darkest days of winter, new life is quietly forming - waiting to spring forth. Prayers of Confession & Words of Assurance: After leading us to confess our sins and reassuring us that God’s love is always there; Jan reassured us that our sins are forgiven. Thanks be to God! Announcements: We heard that last week’s Simply Sharing Tea had raised $540 for the work of Uniting World and we were reminded that our special Friendship Circle Morning Tea today will be celebrated with home made soup and bread rolls and lots of talking and sharing with friends. Ruth introduced two special visitors, her cousin Sue and Father John, an Irish Priest and Missionary. Offering / Prayer: Laurel and Phil were our stewards this morning and they were helped by two of our children. The offering was blessed and the children left for Sunday Kids with a special Blessing. The concept of Jesus bringing us together in God’s household is made easier for me to understand after being a part of the Marsden Road Church Family for almost 50 years. Like any family, some have lived out their full life span and died, some have died prematurely from illness or accident and some have died through tragic circumstances. We have welcomed many many new families into God’s household and new babies have also arrived – all to be embraced with God’s love and the care and love of the current members of God’s household here. Of course, sadly as humans, we have no doubt failed some people, but our goal has always been to seek help and forgiveness for our shortcomings and do our best to bring God’s love to each person. This has nothing to do with the building, which is historic and beautiful; it is the people who have always made this church matter in this changing community in a rapidly changing world. 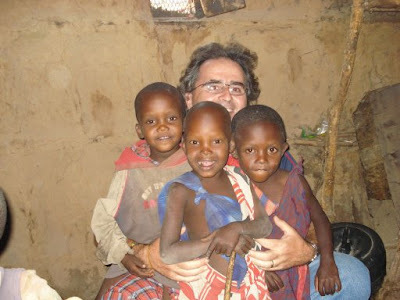 “We belong to a large household that belongs to God, with others from every nation and race in the world, which we sometimes catch a glimpse of when we worship together in other places around the world when travelling and experiencing something of being part of a worldwide family. This household should be organic, growing, vibrant and be a place where people experience and know that God is present. Not in the sense of buildings or properties, but in the relationships that begin and develop and deepen. Father John is now going to work to show that God’s Love has no barriers in a mission in the Philippines, after a short trip home to Ireland. It was wonderful to meet him and welcome him to Marsden Road Church to share our worship. I was pleased to learn that Ruth and Ian had seen to it that finally Father John had the opportunity to taste one of those mysterious and magical lamingtons for himself. Prayers of the People: Today Chris led these prayers and began by presenting to God the many needs and concerns of those people and situations which had been written in our red prayer books. He then prayed that our congregation will be led by the Holy Spirit and that we will listen and love God – not praying to try and make God do what we want – but acknowledging that God is wise and wraps His loving kindness around us even in our darkest moments. Then we shared together in the words of the Lord’s Prayer. John Lamberton Bell is a prolific, modern hymn-writer and is a member of the Iona Community. Some of his hymns, including this one, have been written in collaboration with Graham Maule. Blessing Jan sent us home to: “Go with God to discover new Life in Christ.” Amen. Bronwyn welcomed us to this place of love and peace where we could be sure we belonged. She reminded us that we were celebrating each other as we celebrated the faithful and eternal love of God. Praying to our Gracious and Loving Lord, Bronwyn thanked him that each of us has a place in his realm and can speak to him as both friend and Saviour. She asked, for all of us, that he would receive not just our worship today, but also the worship of our lives, knowing that it is in him that we have our being. She asked that the joy of our relationship with him transform our lives and our world. Sing: TIS 152 "Joyful, Joyful" We continued our adoration of our glorious Lord, acknowledging his ability to work miracles in us and asking that he will do that just to transform us. For us, Bron praised our Creator, Redeemer, our very heart, attesting to God's initial choice of us which allowed us to respond to him and love because he loved us first. She declared that our hearts swelled with love and gratitude for God's faithfulness to us. Words of Assurance God's forgiveness is beyond our understanding, but is as real as the air we breathe. Receive his gift of grace - in the name of Jesus Christ your sins are forgiven. 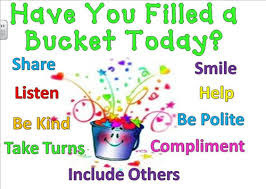 Children’s talk- Have you filled your bucket today? Bron. This talk was as much for the adults as the kids, reminding us that many of our attempts at happiness are counter productive. Many assume that filling our own buckets would benefit us the most, but it turns out that it adds nothing. Filling some else's bucket with acts of kindness, not only fills their bucket and makes them feel special but fills our own bucket as well. Expressions of love, smiles, welcomes are all ways to fill the buckets of other people - it doesn't take much. Start each day asking God to help us fill buckets. Check out how you went at the end of the day. Succeeded? Yes! - No so good? God will not give up! Sing: TiS 162 "Thank you for giving me the morning"- verses 1,2,5,6 The idea of recognizing our real blessings and thanking God for them continued, so that we will not be led astray, thinking that contentment can come to us through acquiring things. Nor should we think the blessings spoken of in this hymn are of no account but are, in fact, the foundation of happy lives. Bible Readings- Jeremiah 23:1-6 - Mark 6:30-34, 53-56. Jack brought us the readings today. The OT reading promised protection for the 'flock' of the Lord and retribution for anyone who harmed them. Mark speaks of the difficulty Jesus experienced when the people crowded him looking for his help, leaving him and the disciples no time to even eat. But even in his exhaustion, he had compassion on them. The strength of his compassion was such that even touching the fringe of his coat brought healing. Sermon- "Come Away" Bron pointed to the Mark reading as a reminder of how busy our lives are. 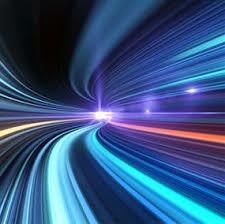 We have all sorts of things to simplify our lives but paradoxically our lives become more frenetic. If it's not the demands of family, it’s work or church or sport or study. That's not to mention volunteering and just "helping out". Bron then told the story of African workers who were carrying equipment over footpaths because that was the only way to go. At one point they stopped and refused to stand up and carry the equipment. When pressed for a reason, the answer was: "Sir, we are waiting for our souls to catch up with our bodies." That's why church is so important. That Jesus felt overwhelmed and needed to take his disciples aside to rest, so we shouldn't feel we can't pull aside to refresh ourselves. We should never feel guilty about having to take time out...Jesus on the other hand saw them as Sheep without a Shepherd and dug deep for their needs. Bron spoke of what happens to those of us without The Shepherd and laid out the types of things that happen to sheep who try wander off by themselves. They get lost; they will wander into danger, trying to find pasture; they will have no defence against dangers. Likewise, we will come to grief without our Shepherd to guide us. Bron then told a story of a traveller who needed to traverse a great forest to get home but the forest was crisscrossed by identical-looking paths all of which but one led to a great abyss. The way to safely cross was to accept and rely on the help of a shepherd who appeared and those that refused the help invariably perished through becoming lost or falling into the abyss. We don't need, to be consciously disobedient to God's will for us, but when we become frenetically busy, we can become distracted and fail to follow God's paths and fail to be good shepherds to those around us. Jesus is the Good Shepherd who will lead us home and by keeping by his side and giving him our time, we avoid wrong paths. "Church is not where we come on a Sunday but who we are." "This is where our souls catch up to our bodies - so embrace this moment..."
Sing TIS 569 "Guide me , O thou Great Jehovah" The enthusiasm in our voices during hymns like this one, is often because they are old favourites - but also because they say the words our heart can't express otherwise. Today Bron reminded us that this is a prayer we should pray daily. Prayers of Intercession & The Lord’s Prayer- Bron led us in praying to God for his help to be the people we would hope to be - gentle, forgiving, patient, understanding - holding fast to what we believe is right, trusting in God's power to overcome evil and transform lives. She prayed that we will remember that the worship service is a "time and base from which to serve and live and transform"..in God's name. Sing: TiS 106 "Now Thank we all our God" We thanked God with all that we are, for all that he is, and all that we can become through him. Jan welcomed us, calling our attention to NAIDOC week and acknowledging the original indigenous owners of the land. She gave thanks for the care those elders had taken of the land. The world and those that live in it. Lift up your heads, O gates and be lifted up, O ancient doors. That the King of glory may come in. We praise God's holy name. Hymn TIS 12 "Ye gates lift up your heads on high" A reiteration of the call to worship in song, praising and glorifying God. Jan gave thanks for those things that we are familiar with on a daily basis - our bodies, shelter, food, the world itself and all that it houses. We often think this things are "natural" and "normal" and forget what a gift they are and what delight they bring - the starry night and the wagging tail of the dog. She gave thanks for those things that underpin our existence - love, relationships and life itself. Jan then confessed for us that we do not always measure up to what we should be as God's children and said how hard we find it to do so. She confessed also that we feel so weak and small and that we give up because we think we cannot have any impact against the forces of this world. Jan asked for God's strength to trust him and open our eyes and ears to the ways we can help others. Jan asked God to forgive us and gave thanks for his grace and mercy that sets us free to start anew. Hymn TIS 164 "The great love of God is revealed in the Son" "It is yours, it is ours, O how lavishly given! The pearl of great price, and the treasure of heaven". Life can be very difficult at times but the knowledge that God's love is ours, strengthens us to rise above the burdens that come our way. 2 Samuel 6: 1 - 5, 12b - 19. Ephesians 1: 1 -14. In the reading from 2 Samuel, David brings home the Ark accompanied by much rejoicing. But it's not the Ark but God's presence which is being celebrated because of their implicit belief in the power of God. The Ephesians reading proclaims the gospel in a nutshell. It tells of our great blessing of being God's children and the forgiveness that brings and the grace that is bestowed upon us because of Jesus. Jan spoke of the rich experience she and Dan have shared travelling around the Pacific and Australia, learning from the people as they moved from place to place. Since this week is NAIDOC week she thought it appropriate to focus on the unique Australian landscape and the unique insights learnt from the indigenous people. She spoke of her curiosity about early history and the fascinating desert experience and its dramatic beauty. 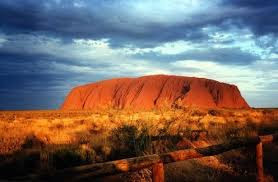 Jan referred to the special, awe inspiring Uluru and the work of the indigenous people in the management of that area. "It was very special being able to appreciate the diversity and uniqueness of God's creation, and to see in that creativity, a God who is worthy of our praise and adoration." Reflecting on the history of Australia was a prompt to think of the beginnings of Christianity and the part Paul played in that. The Letter to the Ephesians revealed Paul's pastoral role, beginning with the Greeting and then The Great Eulogy which speaks of the blessings flowing out of Jesus' sacrifice and triumph over death. It speaks of God's greatness and his love for us. Jan said that her experience at Uluru was such that praise for God was the natural consequence but that sometimes we find that thanks and praise hard to experience and express. We should bless God because even from before the beginning "He destined us for adoption as his children through Jesus Christ , according to the Good pleasure of his will." Eph: 1 : 5. "Not only are we forgiven, but we can share in God's wisdom and insights into the world and the way God is at work through Jesus Christ." This places us in a unique position. As well, we have the gift of the Spirit which continues to lead us throughout our lives. We need to stay in tune with this spirit to do God's will and produce the fruits that the work of the Spirit produces in us. Hymn TIS 129 " Amazing Grace" ...that saved a wretch like me...God's grace is sufficient for ANY need. We are not to be discouraged in any circumstances. Grahame played while we thought on our personal concerns and laid them before our God. Jan spoke - "Warming God, we remember the cycles of life and times of winter." She then prayed for those close to us they will flourish with love and care. She prayed for the homeless; for those suffering shame or guilt; for those suffering because of extremes of climate and for ourselves as we learn to use resources wisely. She then prayed for the close concerns of the congregation after which we joined in The Lord's Prayer. Hymn TIS 611 "God of grace and glory" A plea that we will be saved from our doubts and fears to go forward with wisdom and courage to "serve you whom we adore". May our God, God of love bless and keep you forever. 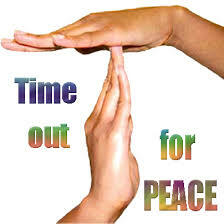 Grant you peace, perfect peace, strength for every endeavour. Now go and serve him with all your heart, serving him forever. Rev. Trevor led our service today encouraging us in various ways, through prayers, hymns, scripture readings, the children's address and sermon to reflect on our lives as Christians. The prayer of praise and thanksgiving was a responsive reading of Psalm 48, extolling God's greatness and His steadfast love for us, concluding with the words: "that you may tell the next generation that this is God, our God forever and ever. He will be our guide forever." Amen. He can only be so if we let go of that grasp we have over our lives and hand ourselves over to his guidance. God cannot guide us if we are following another path that suits other purposes. These thoughts were reflected in HYMN TIS 626, which praises God for his mighty works of creation and his intention to live in every heart that humbles itself to him: "Lord of all power, I give you my will; my mind; my heart; my all. The irony of surrendering ourselves to God is revealed in the last line: "I'll walk in your freedom to the end of the way." The Children's Address concerned an Emu who kept thinking there were better ways of being accepted..as a seal, as a lion, as a snake..but finally realized that the best thing he could be was himself. There is a sign in a lane in Broadway that says: "Be yourself. 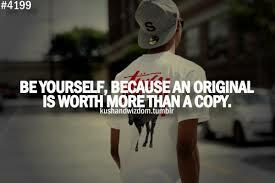 Everybody else is taken." How true is that. The only person we fit perfectly is ourselves, which is just as God wants us, as we sang in the next Hymn TIS 584 "Just as I am without one plea." God calls us as we are; breaking every barrier down with his love and our response can only be: "O Lamb of God, I come. I come. Pat read to us from the Scriptures, first 2 Samuel 5: 1-5, 9-10 and Mark 6: 1-13. The reading from 2 Samuel describes the immediate events that led to David being crowned King of Israel and his work in cementing his position as king. The reading from Mark is well known. Jesus is rejected by those who have known him all his life and don't recognize his unique authority. His disciples are then sent out to spread his message without very much to support them, depending on a welcome response from at least some people. What do we hear from these readings? One message that came through to me was that kingship sought David, not the other way around. David just kept doing what he saw as his job in life. Jesus did this too. Don't be too concerned about ambition or the applause of others or even their criticism. Just do what you see that you have been given to do. Rev. Trevor then brought us his message from the Mark reading but as he said God speaks to each of us differently. We are different people with different needs and as a result we each need different "advice". So God’s voice emerges from, not only the readings but also the message delivered by the Preacher, in a way that heals us, that challenges us, that comforts us each in our own space. The message I heard was not to try to be God's servant by copying someone else nor by taking on loads of unnecessary "adornments" to the way I work out what I see as God's path for me. To be myself and keep my trust in God alone to use me in whatever way he chooses. Holy Communion followed. 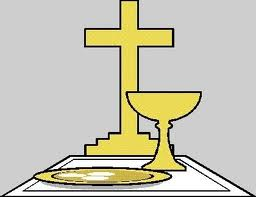 We were reminded of the story of the Institution of Communion and the significance of the bread and wine. We heard again of the sacrifice made on our behalf and answered the invitation to become church as we shared in the communion meal, again praising God for his initiative in calling us back from our fallen state. Hymn TIS 446 "Glorious things of you are spoken" This hymn gave each of us the opportunity to say before others, our belief in and reliance on the God of all. Reliance on him for our redemption and our continuing spiritual growth of which we are so keenly aware of and grateful for that we cannot be swayed by anything this world may try to say to dissuade us from our path. May the feet of God go with you and his hand hold you tight. May the eye of God be on you and your ear hear his cry.